The Eagles will be one of just two divisional round home underdogs since 2000. 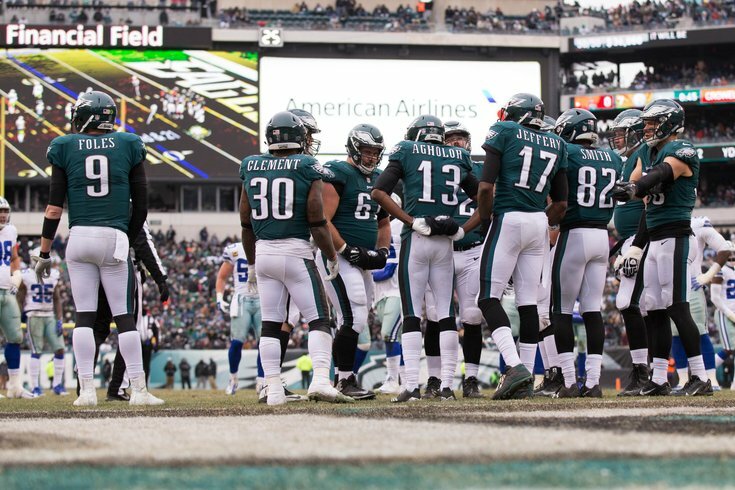 When the betting lines opened up after it was known that the Philadelphia Eagles would face the Atlanta Falcons in their first playoff matchup, the Eagles became a very rare divisional round home underdog, with the Falcons opening as 2.5-point favorites. • Since 2000, home dogs are 11-15 straight up in the playoffs. Since 2003, they're 7-15. They're 1-7 since 2012. • There has only been one other divisional round home dog since 2000, which makes sense, seeing as both home teams on divisional round weekend are either No. 1 or No. 2 seeds, and thus very good. That home dog was the 2011 49ers, who were the No. 2 seed that year. They beat the favored No. 3 seed Saints. • The Eagles themselves were involved in three of the games noted above. In 2000, they were home dogs against the Bucs, and won. In 2008, they were road favorites against the Vikings, and won. Also in 2008, they were road favorites in the NFC Championship Game against the Cardinals, and I'm sure I don't need to remind you of the outcome of that game. • The biggest point spread above was when the Saints were 10-point favorites over the 7-9 Seahawks. The Saints lost. The next biggest point spread was when the Steelers were favored by 8.5 points over Tim Tebow's Denver Broncos. Again, the heavy road favorite lost in that one. Overall, Vegas generally gets it right. The Eagles can certainly beat the Falcons on Saturday, but there's little question that Atlanta has an enormous advantage at quarterback, and recent home dog success (or lack thereof) does not bode well for Philly.